Highly breathable and flexible leg wraps. 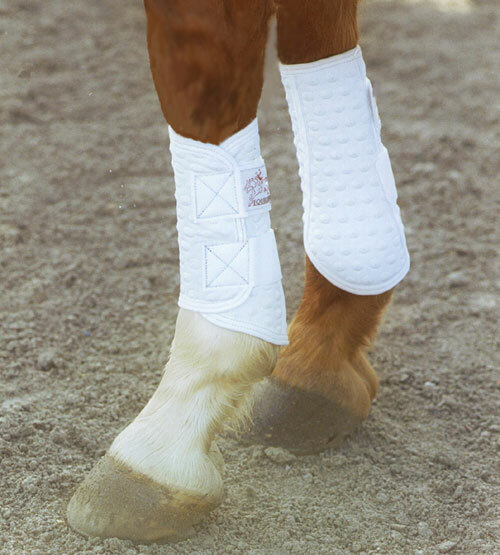 The Stretch & Flex Flatwork Wraps are extremely comfortable and offer maximum support. The revolutionary Stomatex material helps to regulate skin temperature – the hotter your horse gets, the more breathable the wraps become. The Flatwork Wraps are exceptionally flexible ensuring unparalleled freedom of movement. Hook and loop straps make for easy on and off. *Not recommended for horses with a regular brushing interference.